All Posts Tagged With: "Lancome"
Maison Lancôme is delighted to announce the actress and singer Alma Jodorowsky as its new brand ambassadress. “It is very surprising and very touching to become one of the faces of a house like Lancôme, which for me is a part of French culture in itself; I have always known it since I was a little girl. It is all the more moving when I think of all those women who have embodied it before me and embody it today. Women whom I admire, who inspire me. 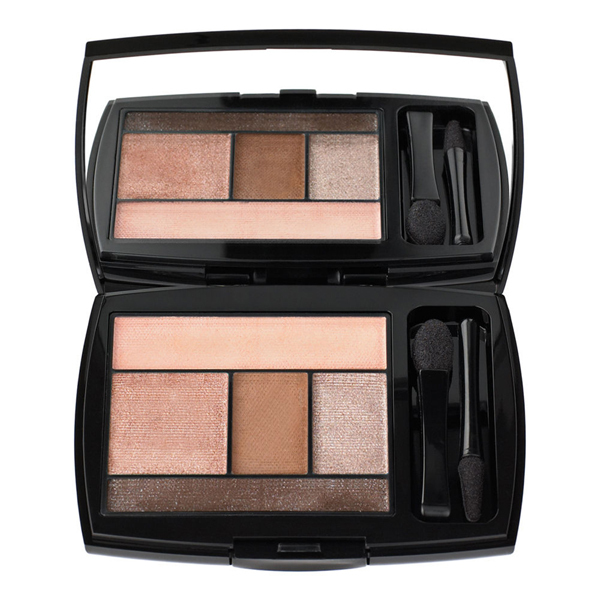 This June, Lancôme creative collaborator Jason Wu unveiled his second highly-anticipated Jason Wu for Lancôme Pre-Fall 2014 cosmetics collection. Following the success of the celebrated fashion designer’s debut for the legendary luxury beauty brand, Wu’s new offerings continue to capture the graceful sophistication and glamorous sensuality of the modern woman with another captivating limited edition line for eyes, cheeks, lips, and nail. New York, New York (April 4, 2014)—Maison Lancôme is delighted to announce Academy award winning actress Lupita Nyong’o as its new brand ambassadress. Makeup artist Monika Blunder gave Jessica Alba a flawless face and defined eyes for tonight’s People’s Choice Awards. Inspired by the makeup from Jason Wu’s Spring 2014 runway show, Blunder added soft, pearlesque shadow with a hint of glitter—the perfect complement to Jessica’s Jason Wu Spring 2014 gown. Kerry Washington at the 2013 Teen Choice Awards in Lancôme. 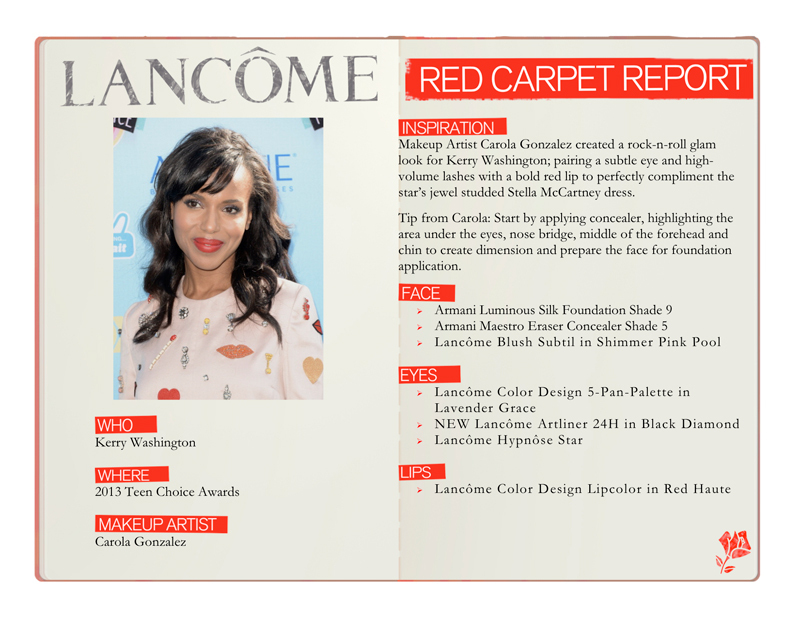 Here’s how to get Kerry Washington’s makeup look. Lancome is thrilled to announce its partnership with highly celebrated fashion designer, Jason Wu. With a self-proclaimed adoration for women and enhancing the female form, his talent is a natural fit for Lancome, a brand symbolic of the ultimate in femininity with modern sensibilities. Kristen Stewart dazzled with a sultry eye and velvety lip for the premiere of her latest film, “On The Road.” To create contrast with Kristen’s menswear-inspired look, makeup artist Jillian Dempsey enhanced Kristen’s eyes and lips with vampy tones, accentuating her features and her porcelain skin. The NEW Lancome Visionnaire Advanced Skin Corrector feels amazing on the skin. It’s light, not greasy slash oliy, and super hydrating. Targets anti-aging concerns, such as: wrinkles, pores, and unevenness. Celebrity makeup artist Todd Delano bestowed Katy Perry with a glamorous twist on 90’s goth using products from Lancôme. The result: classically lined and defined eyes, perfectly contoured cheeks and bold, wine-colored lips. Katy Perry. Do you love? Loving the NEW Lancôme rénergie eclat multi-lift. I use it right after my serum or day cream. It hydrates my skin even more and covers the redness after shower or washing my face. I then use a dub of my favorite foundation or powder foundation and done. Or you can skip the foundation and go straight to powder. Consider this as a tinted skincare or tinted moisturizer.